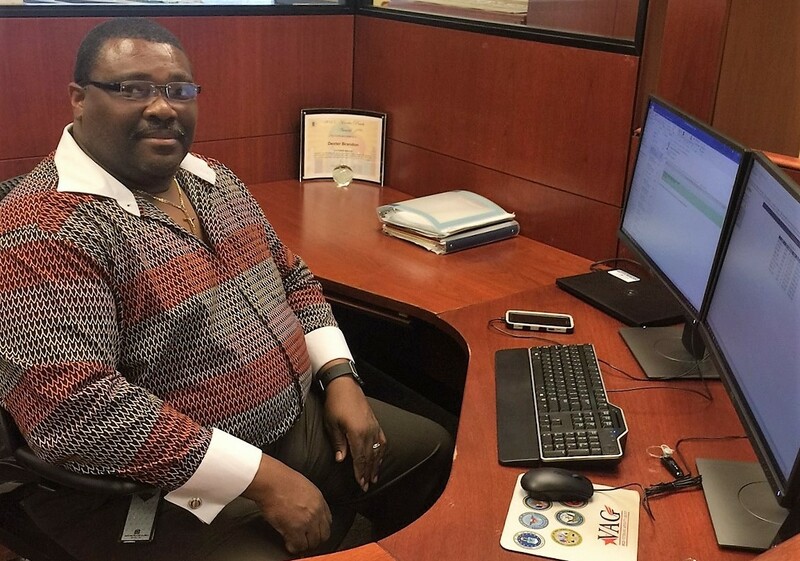 Today, we meet Dexter Brandon, a Customer Service Representative in the Office of Field Policy and Management in the Atlanta Regional Office. A typical day starts with checking voicemails complaints, emails on the Georgia Webmail and interacting with customers on behalf of the organization. I provide them with information or guidance to solving their problems. To listen and respond to customers’ needs. Every call is not the same, so it’s imperative that I provide them with the correct information. Also, transferring the customer to the proper program areas, internally and externally, is essential too. The key is to prevent people from going around in circles. Another one of my tasks is to assist with promptly processing Freedom of Information Act request and inquiries. My career started at HUD in June 2014, as a Student Trainee (Office Support) Intern. Upon completion of my internship, I volunteered for three months and was eventually able to obtain a position as a Customer Service Representative in January 2015. Providing customers with information that may change their lives for the better; it’s gratifying for me. I enjoy helping people, so when a person says, “you‘ve saved my life” or “thank you for the information,” that motivates me throughout the day. I worked at a company as a Power Plant Technical Writer, Contractor, in Atlanta. My job consisted of generating technical documentation for power generation, petrochemical, and other heavy industrial applications, that included organizing and producing professional technical documents used in the field to build or repair equipment and systems for industrial power plants. Thanks for stopping by and be sure to check back for a new edition of A Day in the Life!